Sherbet orange sweet pea flowers are hand sculpted from polymer clay. Each little flower (about 1 inch across) is unique. ValenStar Jewelry's floral inspired jewelry collection would make a lovely addition to any spring or garden wedding. Earrings measure just under 2.5" (5 cm) long. Handcrafted sterling silver findings and chain. Each flower is made one at a time from a limited color blend - no paint to wear off. Sweet pea flowers can be created in any color blend you desire. Premo brand polymer clay is used for delicate yet strong petals. Earrings ship in a small gift box ready to wear or gift! 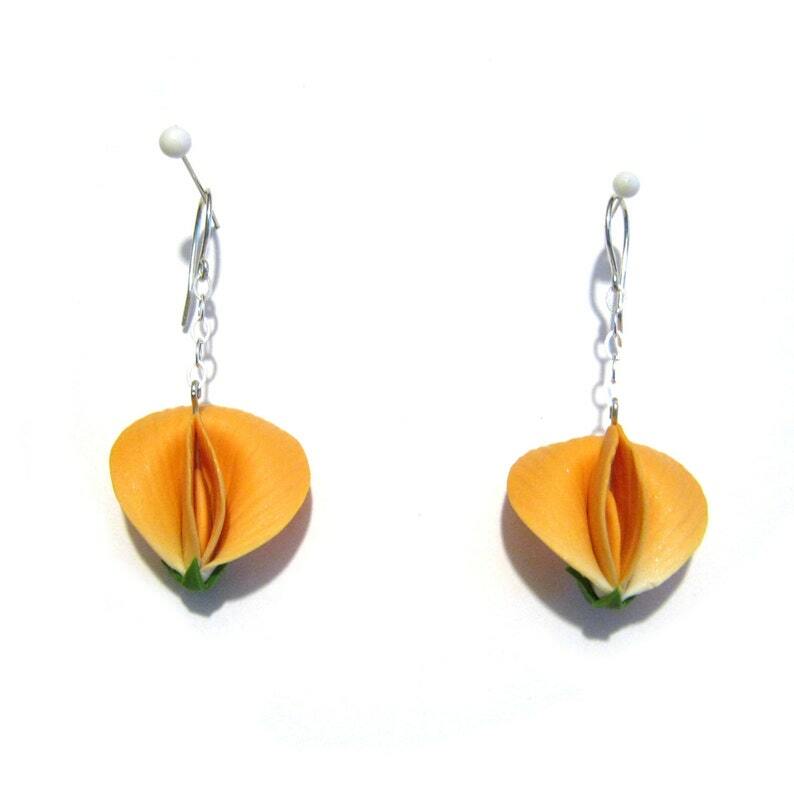 These earrings would make a great gift for bridesmaids or spring brides, or any lady in your life who loves sweet pea blossoms. Ask about custom orders for other color options or multiple pairs.